After replacement of Google Maps for Apple iOS 6 not be to everyone's taste, ventured that Google had sent its own application for approval in the App Store; denied by the same chief executive of Google , Eric Schmidt. As I mentioned in the post linked above, Google could use the Apple blunder with maps to their advantage in the first instance not taking Google Maps to iOS, but offer it to motivate change Android platform users. 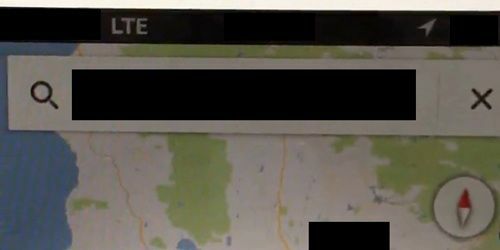 It seems that this will not be quite well after a leak of images you see in Google Maps running on iOS. This application would take some Android design and incorporate this in rotation with two fingers as Apple and maps would also vector-based. The application would be in an early development phase. 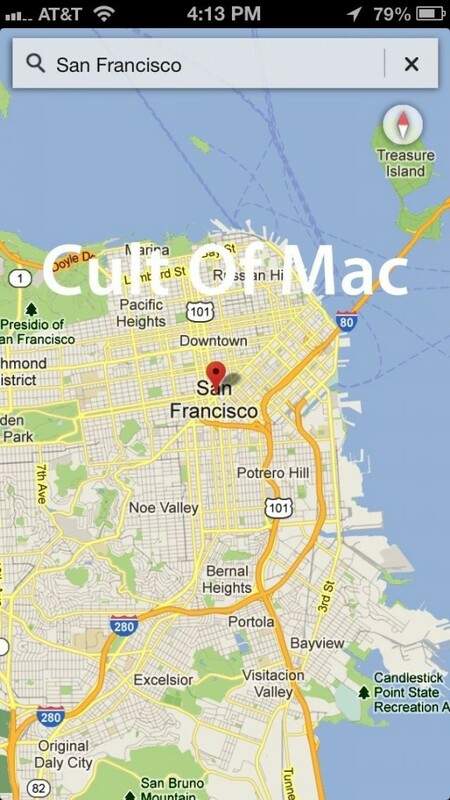 The Cult of Mac guys have done a mockup to show how it could be once it is completed and ready for launch.